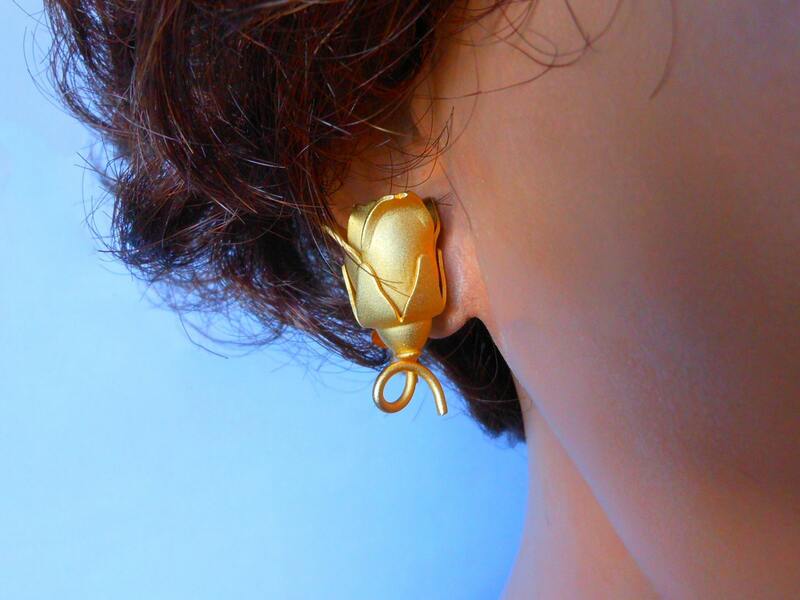 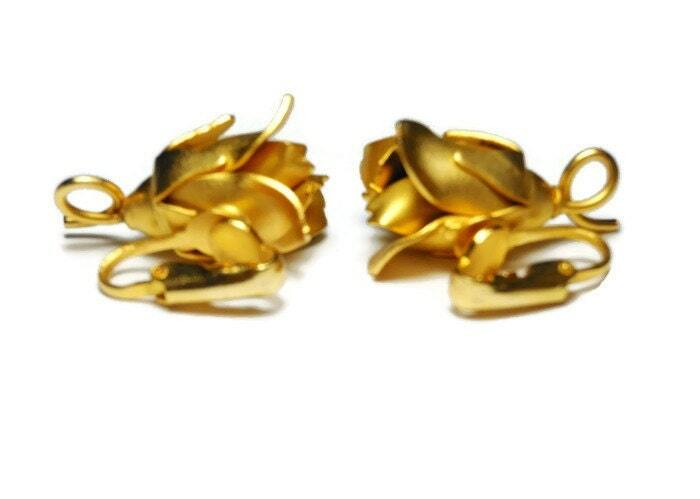 Rosebud clip earrings, satin finish gold plated rose earrings. 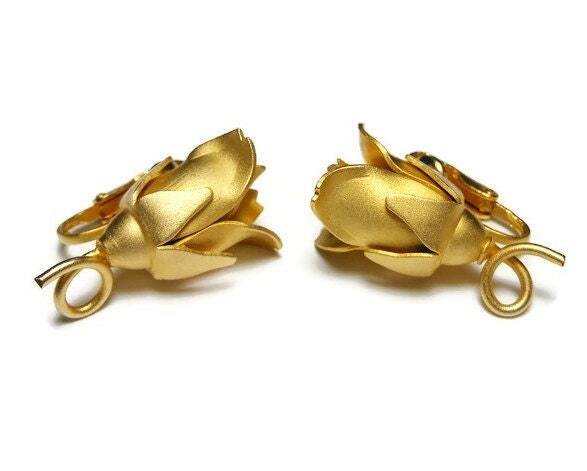 These lovely roses, ready to bloom, are wonderful for any event - especially a wedding! 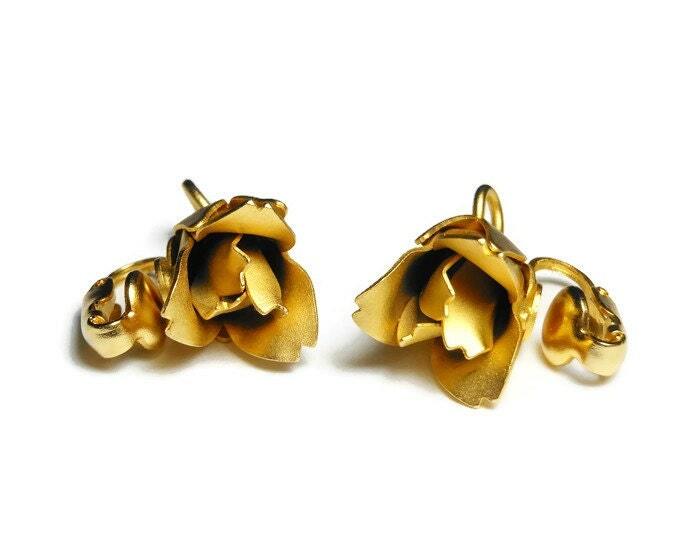 Or perhaps give her roses for Christmas? 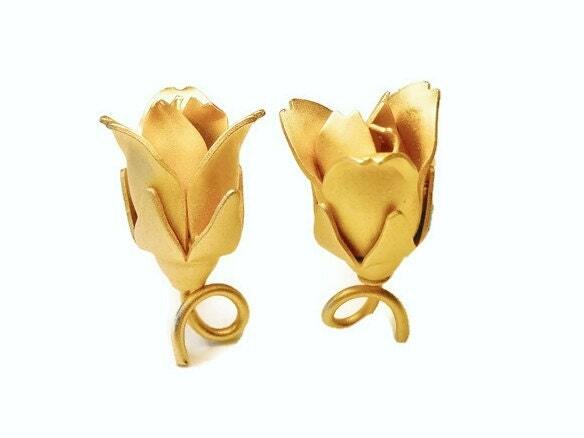 They are a generous 1" (2.5 cm) 1/2" (1.3 cm) and are in very good condition.